My card was born of inspiration from THIS card by my fellow AAA Cards Design Team member Jane Taylor of Purplejet Loves Crafts. Her creation was made for the current AAA Card Challenge : For The Boys - make a card with a masculine touch; Inspirational Colour Challenge - Purple; and Time Out Challenges #31 - Grunge with the optional twist of embossing. 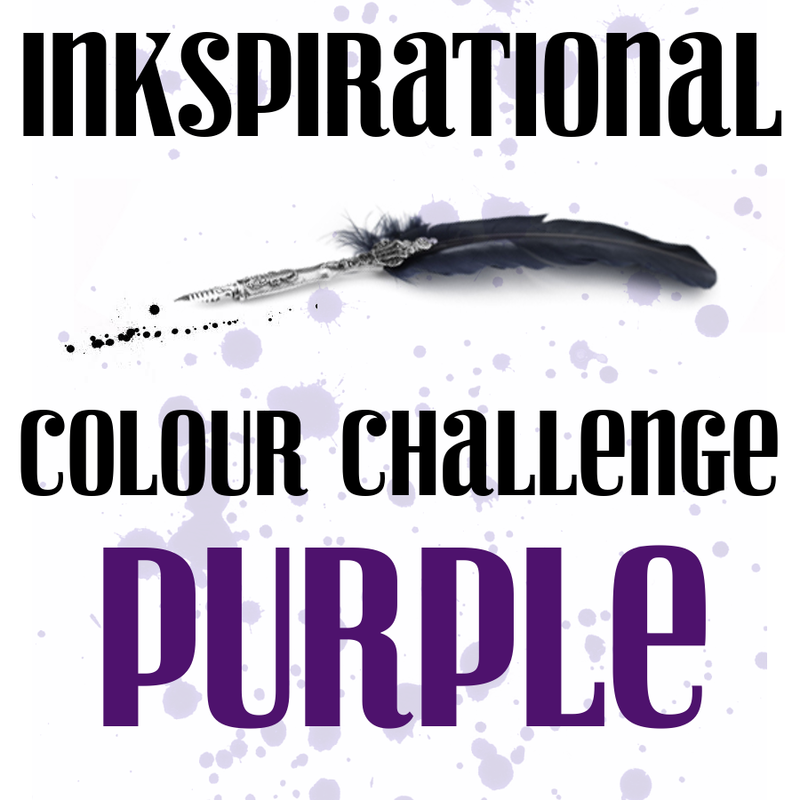 I just loved Jane's purple inky background, and that touch of red really got me. 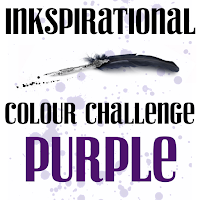 I decided to try my hand at the grungy challenge over at Time Out Challenges as well, and this is what I came up with. I inked the background with a few distress inks of purple hues, and applied a little red. Love the way that looks! Then I stamped my skateboarder (retired SU) and moved him to the right a few times to give the illusion of movement. The main image needed to be bolder, so I filled it in with a brush and black distress ink. It still needed some "umph", so I brushed it with clear Wink Of Stella. I popped up the inked panels with foam tape. The die cut "awesome" (4 layers thick) and the rest of the sentiment is from a stamp and die set from Simon Says Stamp. Nestled the die cut between the two inked layers. I am happy with this one. Thanks Jane for the awesome inspiration! Thank YOU for stopping by today! What a cool card. Perfect for a boy--there is a real sense of adventure about this card. What a cool card! The image with the spotched color looks fantastic and I like the design with the unique sentiment. Thanks for sharing with us at Inkspirational! Wow! So cool that Jane inspired this wonderful hot card! Great work Stephanie. Your sentiment says it all, Stephanie: I'm in awe of this card you've made, infused with ink-and-image genius! 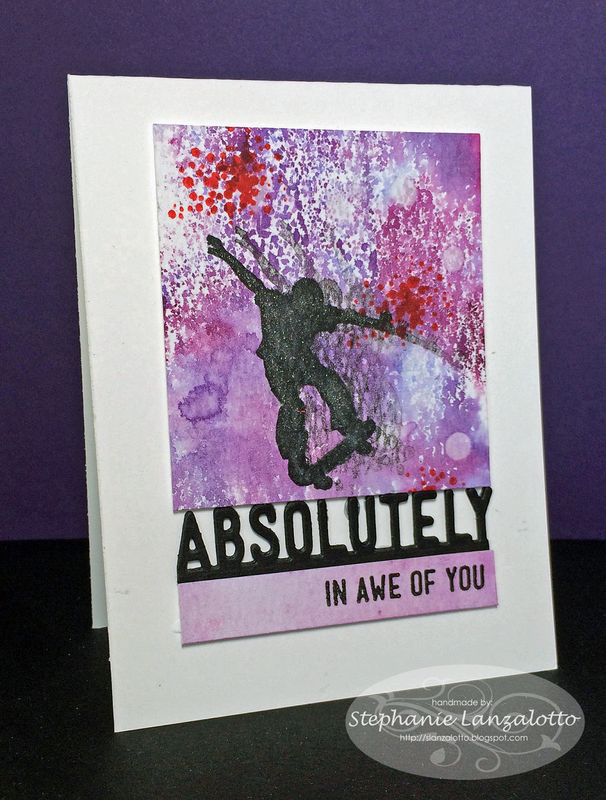 Colours, the skateboarders, the die cut...brilliant! Completely and utterly FAB-U-LOUS! fun card...great layout for a boy!